Welcome to the OPAL-RT Download Center. Please select and download your product: RT-LAB | HYPERSIM®. For additional versions, please contact the Support Team. RT-LAB is the software platform of OPAL-RT's simulation systems eMEGASIM, eFPGASIM and ePHASORSIM. Fully integrated with MATLAB/Simulink®, RT-LAB offers the ability to bring the most complex model-based design and have them interact in a real-world environment. ARTEMiS / ARTEMiS SSN: Specifically designed for microgrid, distribution systems and complex drive, ARTEMiS/SSN provides enhanced solvers and algorithms to ensure the reliable, accurate and fast fixed step-length computations, essential for high fidelity, high-performance real-time simulations. RT-EVENTS: A Simulink toolbox for fixed-step simulations of hybrid systems involving dynamic and discrete events that are asynchronous with respect to the simulation clock. It allows the simulation of high frequency modulation signals of firing pulse units and power electronic controls. FPGA Electric Machine: Provides a rich library of electrical motors models such as: Permanent Magnet Synchronous Machine (PMSM), Induction Machine (IM, DFIG, DFIM and Squirrel Cage rotor), Switched Reluctance Motor (SRM), Brushless DC motor (BLDC) and DC motor. eHS: Provides a convenient user interface that enables users to bring into real-time models created in the simulation tool of their choice: SimScape Power System Simulink toolbox, PSIM, PLECS Blockset, or Multisim. OPAL-RT’s Schematic Editor: Available currently on RT-LAB only with an eHS license, OPAL-RT’s new, streamlined modeling interface provides an elegant and highly usable alternative to proprietary modeling systems for those who may require one. FPGA MMC: Simulates the MMC of various submodule topologies with very high fidelity and unbeatable efficiency. RT-XSG: Offers ready to use Simulink function blocks for FPGA Hardware-in-the-Loop and Rapid Control Prototyping simulation. It also manages the configuration of the FPGA, as well as the transfer of high-bandwidth data between RT-LAB simulation models and the user-defined custom system running on the FPGA. ePHASORSIM: It allows ePHASORSIM to be connected as part of a larger Simulink model, enabling researchers to benefit from a complete grid ecosystem, as well as having access to all OPAL-RT hardware modules and I/O and communication protocols such as DNP3, OPC-UA, C37.118 and interconnect the real time simulation with physical devices under test. RT-LAB Orchestra: Enables engineers to conduct Real-Time co-simulation of virtual vehicles earlier in the design process. ScopeView: In both real-time and offline modes, ScopeView displays, analyzes and compares waveforms acquired from various environments, data acquisition systems and field equipment. Get the Quick Start Guide, Quick Start Guide for OP4200 or the Release Notes. 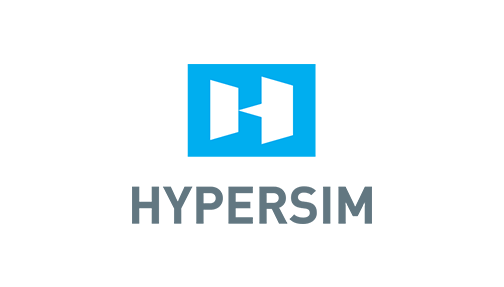 Download HYPERSIM software package to simulate the largest of power systems, even with thousands of 3-phase buses, in real-time on a single simulator without sacrificing precision. We have improved the stability with IP-address changes, so you can now keep your mind at peace when telecommuting. Simply stop your running simulations, close your laptop lid, and resume once in the train or at home. TestView: Provides a test automation tool specifically developed to accelerate testing, perform exhaustive analysis and guarantee test reproducibility. Get the Quick Start Guide or the Release Notes.